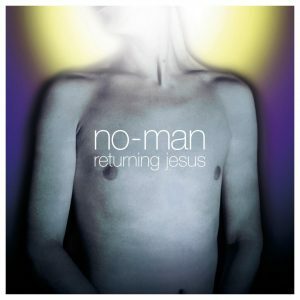 Originally released on the 3rd Stone label in February 2001, Returning Jesus is a collection of ambitious songs which combine Singer-Songwriter, Chamber Jazz, Progressive and Ambient influences with the band’s unique widescreen production and seductively melancholy compositions. Released two months following Steven Wilson‘s 2017 solo album To The Bone, which reached #3 in the UK charts, #2 in DE, #1 in FI, #4 in NL and CH, #7 in AT, #12 in BE, #14 in IT and #15 in NO, and following Tim Bowness‘ 2017 album Lost in the Ghost Light, which reached #5 in the UK Rock charts and #8 in the UK Progressive charts. Returning Jesus received positive reviews in Q, Uncut, Billboard, Classic Rock and other publications at the time of its release and has continued to be seen by both critics and fans as one of the best albums by the duo of Tim Bowness and Steven Wilson. Guest musicians include Steve Jansen (Japan/Rain Tree Crow) on drums, Colin Edwin (Porcupine Tree) on bass and double bass, Theo Travis (Soft Machine) on saxophone and flute, and Ian Dixon on trumpet. The late trumpeter Ian Carr (Nucleus), David Kosten (Faultline, Bat For Lashes) and Ben Christophers contribute to the evocative opening piece “Only Rain”. 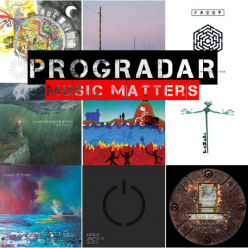 The double CD edition features a 2017 remaster from Steven Wilson and sleeve notes by Tim Bowness – and contains the original album, plus a bonus disc of b-sides, demos and alternate versions; plus additional artwork and photographs from regular No-Man collaborator Carl Glover. With the double 180g heavyweight audiophile double vinyl edition also featuring a 2017 remaster by Steven Wilson, packaged in a gatefold sleeve with additional artwork and photographs from Carl Glover.